The Directorate of State Services (DSS) and the Nigeria Customs Service (NCS) have recently accused some states of stockpiling arms ahead of the general elections in 2019. 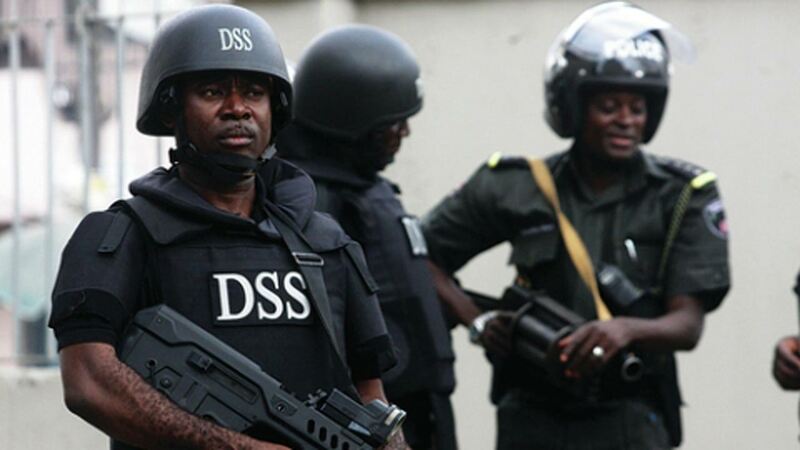 The arms, classified as small and light weapon, are already being used by some individuals to perpetrate violence in parts of the country DSS Eteng said. At the investigation of the “frightening influx of small arms and light weapons into the country” by the House of Representatives Joint Committee on Customs and Excise and National Intelligence, DSS Director of Operations, Godwin Eteng, said as the elections drew nearer, the influx of the arms in some states is becoming fearful. He said security report revealed that the arms are mostly in Nasarawa, Benue, Taraba and Plateau states. Following this discovery, Eteng said the recently conducted 27 operations across the states and arrested 30 suspects, with some of them in the arms business. He listed communal clashes, terrorism, kidnapping, herdsmen-farmers clashes, political thuggery, militancy and cultism as creating constant demand for arms in the country. Eteng said the listed states were acting as gateways for small arms and light weapons being used to fuel various crises in some parts of the country to be smuggled in by herdsmen from Senegal, The Gambia and especially Central Africa. He told the lawmakers: “When we did our studies, we discovered that three-quarter of the arms used to cause the crises in Southern Kaduna, Zamfara and Plateau states are coming from Nasarawa, Benue, Taraba and Plateau. “In the last one and a half months, we have conducted more than 27 operations and arrested more than 30 persons involved in the supply of arms and ammunition. Some of them are serving security officers. “Some agencies have over a period of time recruited people who are cultists and armed robbers and are now wearing uniforms. The question is: are we doing enough checks on our people who are being recruited into security services? On his part, the Comptroller- General of Customs, Hameed Ali at the hearing, disclosed that while there were 1,100 illegal borders into the country, only 97 were approved entry posts. Ali, who was represented by Dangaladima Aminu Abubakar, a Deputy Comptroller, lamented the dearth of necessary equipment to stem the flow of weapons into the country. According to Ali, the Customs personnel that were found culpable in the import of 661 pump action rifles have been dismissed from service and handed over to the DSS for prosecution. The Customs boss said lack of operational vehicles, fast- moving boats, cutting-edge technology and advanced scanning machines at airports, seaports and border points are limiting the effectiveness of the service. He listed other factors hindering effective operations of the service as inadequate welfare for personnel, as some of them, according to him, live in deplorable conditions at the border communities. He sought more budgetary allocations to the operational activities of the NCS. The Chairman of the House Committee, Biodun Faleke (APC Lagos) urged the DSS to be more proactive in safeguarding citizens from the abuse of arms by state governors and ensure that whatever arms procured are properly acquired to avoid abuse. The House had on Wednesday 27th September, 2017 mandated its Committees on Customs and Excise to invite the NCS and the DSS boss to brief the lawmakers on plans to rid the country of the menace of small arms and light weapons proliferation.